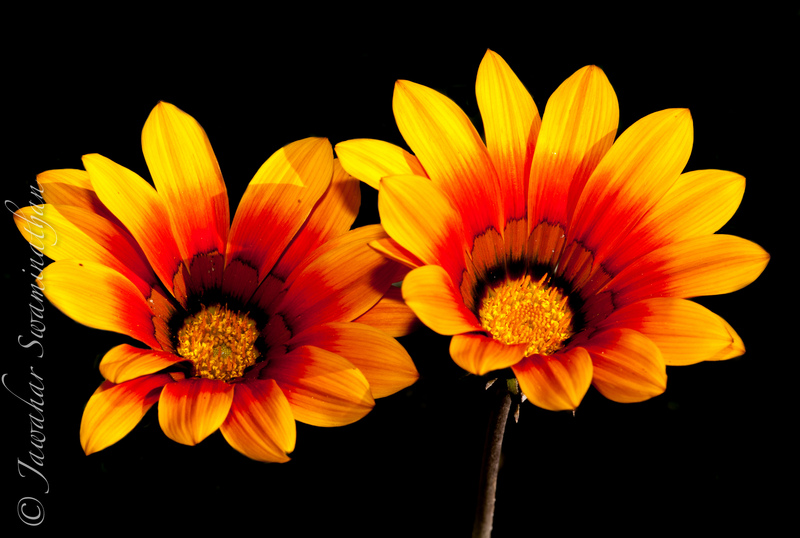 Gazania‘s are native to south africa and are commonly grown in the UK as an annual. The lovely flowers light up any border with their profuse blooms and long flowering season. These gazania’s are from my garden in Cambridge. 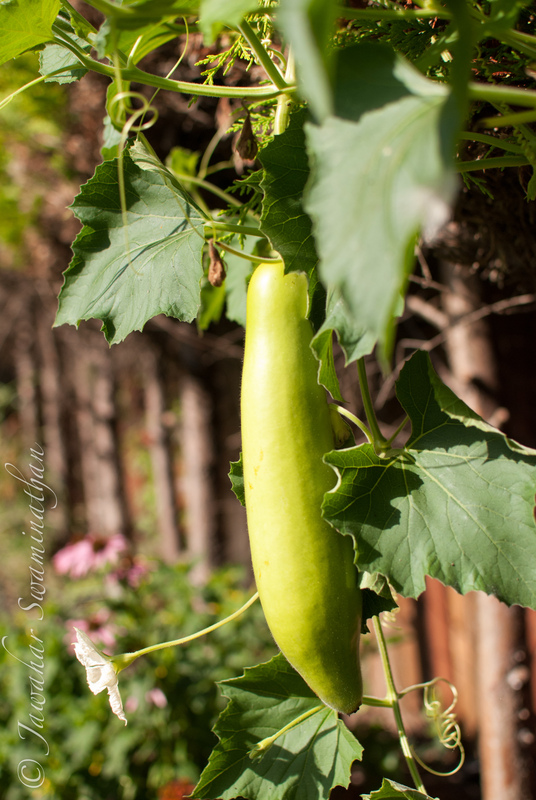 I know it is strange to talk about spring blooms in the dreary days of autumn! I came across this picture in my collection taken earlier this year and thought it would offer a chance for us facing shorter days, cold and rain to cheer up with thoughts of spring! 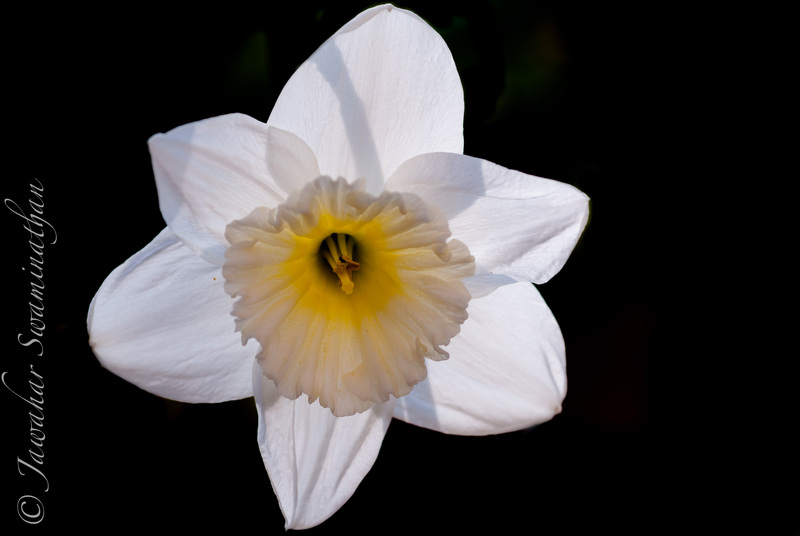 Daffodil against a dark background. Click to see a larger image. External SB-600 speedlight flash used. 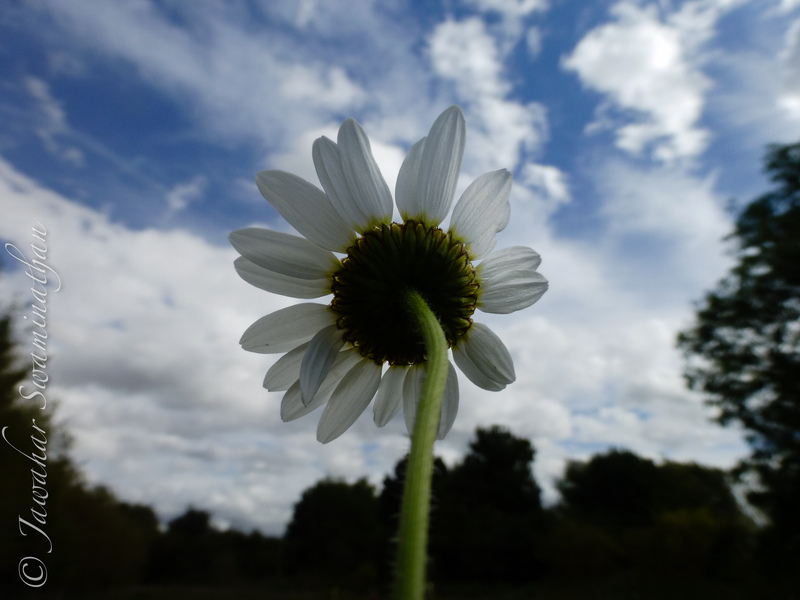 Like the Doors song “Waiting for the Sun“, these solitary field daisies wait for the sun that is increasingly rare as autumn approaches. 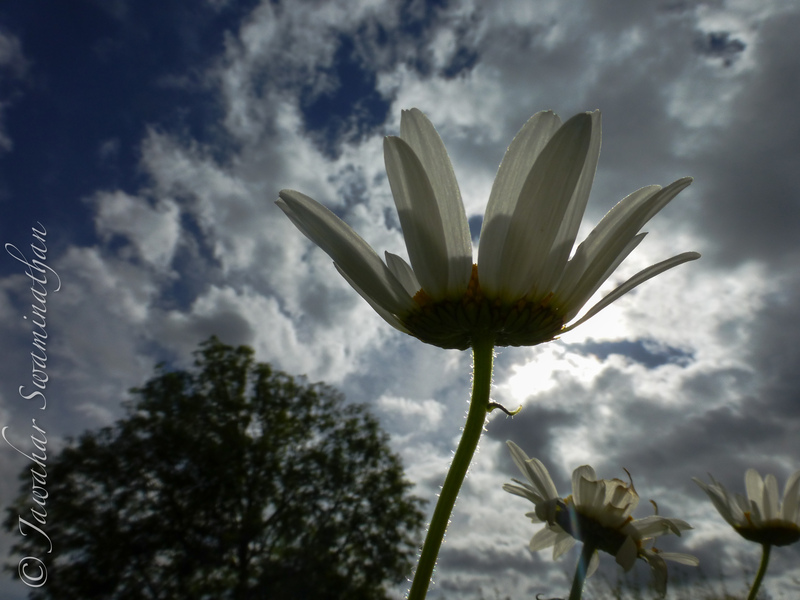 Posted on September 25, 2012 Categories PhotographyTags adobe lightroom, Daisy, field daisies, Flower, Nature, Photo, Photography, wildflowersLeave a comment on Waiting for the Sun! 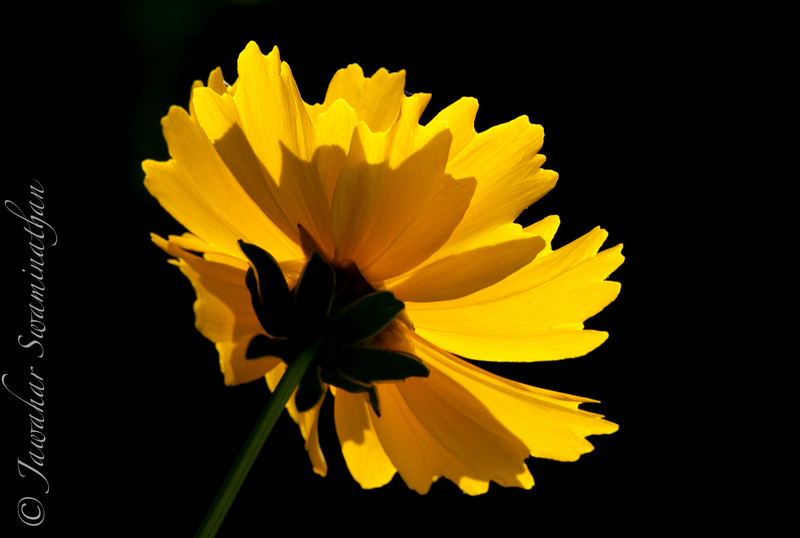 A yellow daisy shot from underneath the flower against sunlight. Click on the picture for a larger view. Nothing probably gives a better contrast and highlights a picture, like something yellow on black on monochrome background. 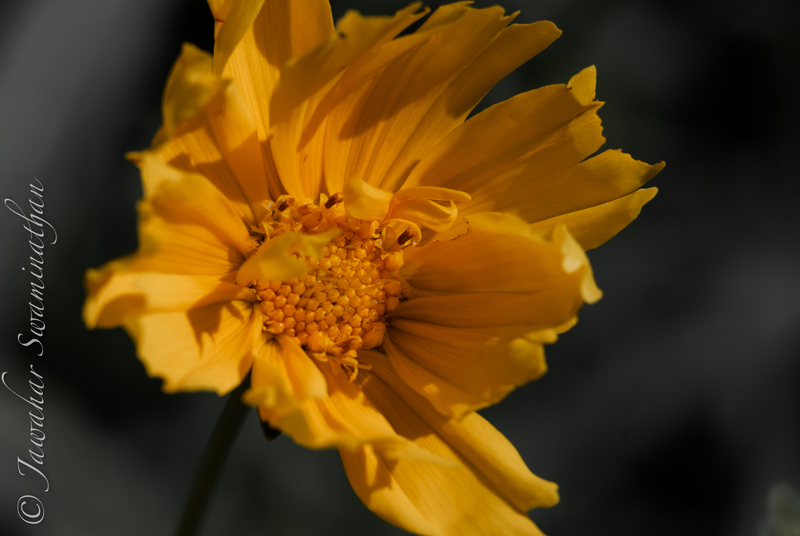 To test this hypothesis, I put forward this picture of a yellow flower against a desaturated background. Really interested in your thoughts!